The use of agrochemicals has played a powerful role in feeding the world population since the green revolution of the 1960s. Yet the excessive use of pesticides and certain fertilizers is inflicting profound damage on ecosystems and human health, and undermining efforts to reduce greenhouse gas emissions. Members of the Food and Land Use Coalition in Colombia are working with local stakeholders to accelerate efforts to reduce harmful use of agrochemicals in the country, to provide safer food for local people and tap into new export opportunities. The Coalition launched a ‘Bio-inputs and Healthy Food’ working group in November 2018, which aims to support efficient management of agro-inputs in the country and to provide concrete alternatives and solutions for effective agricultural production. Colombia has the highest consumption of fertilizer and the second highest consumption of pesticides per hectare in Latin America, spending a huge 35% percent of the cost of food production on agrochemical and fertilizer use. According to the World Bank, its pesticide use has almost quadrupled in the last 20 years. The country has positioned itself as a producer, consumer and exporter of agrochemicals, a business that represents USD 600 million per year. There are troubling signs that these practices are affecting the health of Colombia’s people and land. Some of the agrochemicals used are classified as high risk to human health and food safety. Inadequate traceability and monitoring systems on the production side (on farms and in processing), and on the consumption side (for example, in retailers) mean that Colombians have no way of knowing what they are eating, where it came from, and the conditions in which that food was grown. Many factors contribute to the continued harmful use of agrochemicals in Colombia, including but not limited to farmer understanding of the impacts of agrochemicals on health and the environment, low levels of training and technology to increase the efficiency of agrochemicals or bio-inputs use, limited farmer education in disease management, and weak governance to prevent the sale of harmful or illegal agrochemicals. Faced with these challenges, Colombia has worked to promote alternatives to socially and environmentally damaging agrochemical use and to offer cost-effective ways to increase productivity. Initiatives include more efficient and sustainable Good Agricultural Practices (GAP), the development of bio-inputs (i.e. inputs which are naturally derived), bio-protection solutions, integrated pest management (IPM) approaches, the use of traditional practices, and the promotion of agroecology and organic agriculture. By integrating sustainable practices and using technology to ensure efficient and measured use of agro-inputs, Colombian farmers can tap into international markets with greater demands on global food safety standards, commitments to zero deforestation products, fulfilling Maximum Residue Levels (MRLs) and growing consumer demand for responsibly sourced produce. The FOLU ‘Bio-inputs and Healthy Food’ working group is led in partnership with research institution Agrosavia and Asobiocol, an association of bio-input production companies. It is run in coordination with the Ministry of Agriculture and Rural Development, the Ministry of Environment and Sustainable Development, the Ministry of Industry, Trade and Tourism, and Procolombia (Colombia’s export agency). Leading multi-national and bio-control companies also coordinate with the working group. This represents a key pillar of the FOLU Roadmap for a New Food and Land Use Economy in Colombia. The working group is initially focused on two value chains – tomato and avocado hass – with a view to eventually scaling to others. Tomatoes are popular in Colombia but are known to suffer from excessive pesticide use (such as organophosphorus and organochlorine) in production, with implications for human health. Avocado hass is a key export product, with comparative and competitive advantages, but with increasing demands on quality and safety standards to be met. Key priorities for the working group include creating sustainable, scalable agricultural practices. There is significant potential in this respect. In an assessment that Biointropic is currently developing for the working group with the support of FOLU-Colombia, there is evidence of a gap in the certification of farms with Good Agricultural Practices (GAP): just 1,692 farms are today certified in GAP, in a country with 2.7 million producers. Of these, only 245 avocado farms and 21 tomato farms are certified. Leveraging the power of companies who take sustainability seriously offers another important route to change. For example, fertilizer company Yara International provides extension services to farmers who employ sustainable practices, and bio-control company EcoFlora works with farmers in the use of bio-inputs. At the global and national levels there are increasing companies generating cutting-edge research into bio-inputs that boost productivity without affecting the environment or health. Finally, collaboration is key: the working group brings together public and private sector leaders to collectively deliver effective solutions for different value chains in the country. Fedesarrollo e IQuartil (2012). Costos de Producción de Doce Productos Agropecuarios. Colombia. After 3 years of collaboration and research, the landmark EAT-Lancet Commission Report Our Food in the Anthropocene: Healthy Diets from Sustainable Food Systems launched in January, prompting conversations around the world, with coverage in over 5,000 independent media articles. The Report is a major contribution to science, outlining for the first time global dietary recommendations that support the health and prosperity of both people and planet. What does the Report mean for you? From city dwellers to farmers; healthcare professionals to the food service industry; policymakers to the wider public, you can find summaries of the key takeaways and recommended actions for different stakeholders here. To complement these, WBCSD has created a one-page summary of what the Report means for businesses in the food and land use sector, as the first in a series of short briefs looking at different aspects of the value chain. In partnership with the Hoffmann Global Institute for Business and Society, the Food and Land Use Coalition hosted an event in the SDG tent at Davos that focussed on the trade-offs that must be managed to halt biodiversity loss and deliver sustainable food and land use systems. The event was attended by a number of FOLU Ambassadors and ambitious leaders from business, finance and civil society, who discussed the priority solutions for transforming food and land use systems to become more productive, equitable and regenerative. As Cristiana Paşca Palmer noted in her opening remarks, we are in the midst of a severe biodiversity crisis which has disasterous implications on human life, the economy, and society. Increased demand for food is one of the main drivers for biodiversity loss, but there are many positive ways in which food and agriculture could play in the new global architecture for nature and people. At CBD COP 2020, parties will meet to establish a global biodiversity framework that will define an ambitious and transformative action agenda to tackle biodiversity loss, and mainstream biodiversity into the food and agriculture sectors. FOLU Chair Paul Polman highlighted the urgency of food and land use system transformation and the need for a collaborative, integrated approach to meet the SDGs. We need to harness market forces to tackle interlinked challenges at scale. This will require companies to re-orient their business strategies and advocate for greater private sector ambition to produce food that is sustainable, nutritions and accessible to all. The event sought to benefit from the wide-ranging experiences and expertise of those in the room. Participants seated at roundtables were asked to focus on solutions available within a specific aspect of the food and land use system, identifying the key priorities and the enabling environment required to facilitate these. The conclusions reached through each roundtable discussion will feed into the Coalition’s Global Report on Transforming Food and Land Use Systems, which is due to be released in September 2019. Can oceans solve the ever-expanding need for protein? How can global trade help to protect nature? Can intensive farming also be sustainable? How can agricultural subsidies protect natural systems? The importance of a just transition: a bottom-up approach can help to shift local dynamics to create trade systems that support sustainable production and consumption patterns. This is particularly important in the case of agricultural subsidies, $500 billion of which could be redirected to support more sustainable practices. In so doing, it is important that governments consider the needs of individual farmers, involve them in the process so that they can tailor support to local contexts and crops, and communicate the rationale and potential of subsidies in ways that speak to their aspirations and concerns. Private sector leadership: multinational agribusinesses have a critical role to play in pioneering practices that match scale with sustainability. By championing greater agrobiodiversity – through farming techniques like agroforestry, by increasing the diversity of ingredients used in products, and by being sensitive to local food cultures and traditions – food producers can bring their expertise in intensive farming to help produce more on less land while protecting nature within agriculture itself. Creating an enabling environment for increased investment in sustainable food and land use, addressing policy constraints and mobilising partnerships to mitigate risk and crowd in private finance. Ocean proteins: there is also a significant role for redirecting subsidies to increase sustainable ocean protein production and consumption. Seafood – particularly bivalves such as mussels, clams and scallops – offers a huge opportunity to increase the availability of sustainable, alternative protiens. Yet today, this industry has not been mainstreamed. Addressing communications barriers as well as subsidies can help to unlock this opportunity while stamping out unsustainable practices. Systems approach to change: Many of the challenges and solutions discussed at the roundtables were linked, exposing feedback loops. For example, subsidy reform can help to incentivise practices that promote agrobiodiversity, sustainable intensification of aquaculture and agriculture, and prevent illegal fishing. At the same time, a global definition of sustainable trade will help to redirect subsidies and price externalities, which in turn will make sustainable food more affordable and change consumer behaviour. Actors in the food and land use space need to recognise these linkages and coordinate on targets and solutions. Elsewhere in Davos, issues at the heart of the FOLU agenda featured widely, including a number of events held by FOLU Core Partners. 22nd January, Science Based Target Network event on ‘Moving from Design to Implementation’ to engage heads of contributing organizations on how to scale work and accelerate progress in 2019. 22nd January, WBCSD welcomed high-level representatives at its ‘Healthy People, Healthy Planet’ session, moderated by David Nabarro. 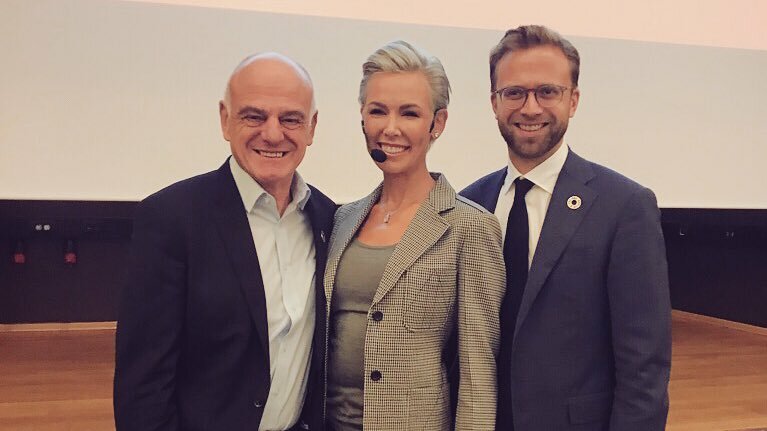 The event started with presentations from Johan Rockström and Gunhild Stordalen on the new EAT-Lancet report, Laurence Haddad on GAIN’s perspective, Svein Tore Holsether on WBCSD’s and Yara’s perspectives, and Mauricio Adade on DSM’s views. It was followed by active discussions to collectively build upon the report outcomes and identify market-based solutions where companies can act and drive outcomes as an industry. 23rd January, Making Food and Nutrition Relevant Beyond SDG2 event, exploring how to change the way that buainess is leveraged to build food ad nutrition systems that deliver growth, income generation and jobs to support health system development. 24th January, Generation Africa lunch, hosted by Yara and Econet, on how to unleash a dynamic cadre of youth entrepreneurs to drive inclusive growth in Africa’s agri-food system. 24th January, The Role of Business in Scaling Solutions for The SDGs, event exploring how to ensure inclusive and sustainable growth while scaling solutions to drive delivery of the SDGs – including new business models. 24th January, Launch of Ellen MacArthur Foundation’s latest report on Cities and the Circular Economy for Food. Assembled CEOs and senior executives discussed the report’s findings and next steps required to mobilise its recommendations into a multi-year initiative. 25th January, Food Systems Dialogues brought together leaders from central and local governments, farmer groups, businesses, scientific bodies and non-governmental organizations to engage in structured Dialogue about the future of Food Systems. While there were some notable absences this year, and – by some accounts – a more sombre mood as leaders reflected on the growing rise of inequality, nationalism and planetary challenges, there were some stand-out moments, with strong and clear calls for action. FOLU Ambassador Jessica Fanzo, PhD, is the Bloomberg Distinguished Professor of Food Policy & Ethics at Johns Hopkins University and Director of the University’s Global Food Ethics and Policy Program. She is also Editor-in-Chief of the Global Food Security Journal, served as co-Chair for the Global Nutrition Report and contributed to the EAT Lancet report. Through extensive experience in academia and research, as well as 15 years working in the field in Sub-Saharan Africa, South and East Asia, Dr Fanzo seeks to promote equitable, sustainable and nutritious diets. Her research is focused on the linkages between agriculture, water and health and places importance on the rebuilding of food systems in post-conflict regions. What originally inspired you to get involved in nutrition? I started my education and career in nutrition: all my degrees were in nutrition, with a particular emphasis on biology. Nutrition was viewed much more clinically then and wasn’t as popular as it is now – no one was instagramming their dinner! After my doctorate I became fascinated by global health, which offered a broader scope, incorporating social, academic and political perspectives. Since then, nutrition has developed to encompass these fields, but it didn’t so much at the time. I focussed on molecular immunology, in particular around HIV, which took me to Africa to work on the Millennium Villages Project with Jeffrey Sachs. The places I worked on the Millennium Villages Project were deeply rural and the geographical diversity was striking – you didn’t have to travel far to see agricultural systems very distinct from one another. Seeing the huge burden of malnutrition, the isolation from lack of roads and lack of access to markets really illuminated the connections between nutrition, agriculture and rural prosperity. With renewed appreciation for the importance of food, I returned to the nutrition field, but this time from the perspective of agriculture and food systems. Work in the field seems to have been an influential part of your career – how does this experience compare and interact with your work in research institutions? Research is so important and the reach of reports like the Global Nutrition Report and the EAT Lancet has been great – they are contributing to science and equipping people to drive change across the globe. But my field experience is what reignited my passion for nutrition and when I reflect on my work over the past twenty years, I miss those days of working ‘on the ground’. The happiest I’ve been is talking to farmers, young mums and other members of local communities. Moreover, my fieldwork has had a significant influence on my research, highlighting the importance of rural communities in wider food systems. There’s a big focus on the urban agenda at the moment – but someone needs to feed those urban populations. We need to establish rural-urban corridors with decent infrastructure, roads that aren’t washed out for half the year, and markets all along the way. You talk to any rural farmer, they’ll talk about roads and markets. Infrastructure is often at its weakest in post conflict zones, where you have spent a significant part of your career. Tell us about the key links between conflict and nutrition. Countries that have dealt with high levels of conflict tend to have increased prevalence of malnutrition, stunting and wasting. This is unsurprising given conflict’s direct impacts on agricultural production and the natural assets upon which food production depends. The subsequent food insecurity has huge downstream effects and there’s a real lack of coping mechanisms as the instruments of state are weakened or destroyed altogether. So the end of conflict does not mean the end of all associated problems – the damage done takes generations to rebuild. Crucially, the impacts of conflict aren’t limited to the country where it’s happening. What is on paper one conflict in one country can destabilise a whole region, as we’ve seen for example in the Middle East. Meanwhile, climate change will increase the likelihood of conflict: climate-induced migration and increased inequalities will have destabilising effects. So, while there is interesting and cheering research on the world becoming less violent, there is still cause for concern. I worry about the long-term impact of conflict and of the ricochet effects on wider regions. That’s why getting nutrition and food systems right in post-conflict zones is so important. How do we get it right – what are the key elements to rebuild food systems after conflict? It’s a really complicated problem. How do you rebuild multiple systems that have all been dismantled? And these systems - from water to health to food - all interact with each other. The burdens of conflict last a long time and run deep. It’s hard to know where to start and what to prioritise. The immediate issue is to make sure that people are fed and kept alive, meaning that long-term development is always the back-burner issue and actors fail to build up the capacity of local communities. For example, Timor Leste was in a state of conflict for so long that it has limited governmental capacity and has depended on foreign engagement to restore political stability. How do we get it right? We could look to Nepal for some answers. It has been able to recover more quickly from its conflict – child stunting fell from 68% in 1995 to 36% in 2016. In addition to a huge international aid effort, the Nepalese government instituted strong governance around nutrition, underpinned by a plan that brought stakeholders from across sectors together. Preventing and dealing with conflict situations calls for multiple actor responses, hopefully coordinated. This was a key part of Nepal’s success. Despite these troubling trends, in many ways the world is better equipped than ever to nourish both people and planet. What makes you most excited about the future? The research agenda has come a long way, equipping us with the evidence and knowledge to make better decisions. The EAT Lancet Report demonstrates that there is the theoretical potential for a sustainable and healthy diet, and pathways to achieving it. There are promising examples of government action happening. In 2014 Mexico introduced a 10% soda tax that saw an average reduction in consumption of 7.6% in 2 years. Initiatives in Bangladesh have gone a long way in improving water access and sanitation. Chile have introduced labelling regulation that marks any products deemed high in calories, sugar, salts or fat with a black ‘stop’ sign Those products marked with a black stop sign cannot be sold in schools and their surrounding areas, and cannot be advertised at times when children are likely to be watching TV. There are huge opportunities to replicate these initiatives elsewhere to incentivise and enable more healthy behaviours. There is also a clear role for the private sector to provide people with access to sustainable, healthy products that are appealing and affordable. External pressure on the market is really powerful. Frameworks like the Access to Nutrition Index create a race to the top. And it’s great to see consumer demand prompting companies to develop more sustainable ranges. For example, the private sector is developing exciting alternative proteins to meat in high-income countries where people are eating too much of it. On the other hand, in some parts of the world people aren’t getting enough protein and animal protein is the most efficient way to address this. This is a big challenge – we need to scale solutions to tackle a global problem, but we also need to maintain localised perspectives. Governments and businesses seem to be grasping the opportunity to take sustainable nutrition seriously. But at an individual level, can we have an impact too? Absolutely. We can make better choices about what we eat, choosing to go for healthier, more sustainable options. This has benefits not only for our own health, but also for our local community and beyond, by driving demand for better products. However, these better choices have to exist. The ability to be an effective citizen is not just an individual choice but depends on a food environment that’s conducive to health and sustainability: healthy products have to be available and affordable, while information on healthy diets has to be accessible and clear. At the moment, the deck is stacked against healthy choice freedom. Building a sustainable food environment is ultimately the responsibility of food system actors – that is, producers, retailers and policy-makers. Finally, we couldn’t have this interview without asking you: what’s your favourite food? I’m from Seattle so it’s got to be steamed clams. They serve them with hot butter there, so you dip the clams into the golden butter. They’re delicious and clams are high in zinc! When I’m in Italy (where my family is from), I guess it’s spaghetti a la vongole! The Food and Land Use Coalition will release a Global Report on Transforming Food and Land Use Systems in September 2019, which will make the case for systemic change to economic decision-makers, from government ministers to CEOs to farmers. The Report will seek to show that sustainable food and land use systems are both achievable and economically attractive, drawing on modelling and analytic insights of the FABLE Consortium, learnings from FOLU partners working in countries, and the insights and experience of a network of Ambassadors and commissioned research papers. We sat down with Global Report Lead Author, Per Pharo, to discuss the aims and emerging themes of the Report. Why are you writing a report on global food and land use systems? What makes the topic worth writing about? I’d like to know that my kids, their kids and grandkids, will live on a planet that nourishes people with healthy, environmentally sustainable diets. To achieve this, we must – along with other changes like shifting to clean renewable energy – transform food and land use systems. Today, agriculture and other land use activities account for over 25% of greenhouse gas emissions and devastating natural capital losses, deepening rural poverty and increasing vulnerability to climate change impacts. 800 million people go hungry while over 2 billion are overweight or obese. 500 million smallholder farmers live under the poverty line. We can and we must transform these systems to deliver fairer, healthier outcomes for people and planet. This is critical to achieve the Sustainable Development Goals, Paris Agreement on Climate and Aichi Biodiversity Target. The Global Report will make the economic case for this transformation, seeing this an essential part of mobilising stakeholders to action. What’s more, it's a fascinating field with lots of brilliant and dedicated people working on the challenge. A lot of reports have come out over the past decade covering many of the aspects the Global Report will focus on, from nutrition to forests to poverty. What makes this report different from others? Firstly, the Global Report is primarily intended to pave the way for a movement in our global attitude to food and land by equipping readers with evidence and strategies to make the case for change in their work and across their networks. This is a process which the FOLU Coalition has already begun through work in countries and across a consortium of institutions working together to build momentum. Secondly, the Global Report will be the first to deal holistically with not only nutrition, agriculture, ocean proteins, and the environment, but also explicitly with the economy, growth and equity. Thirdly, the Report will focus on how to achieve this transformation, showing that the changes are not only necessary and desirable, but also possible. It will describe solutions in terms that policymakers, ministries of finance, and company CFOs and CEOs can relate to and translate into action. How do you hope to have an impact with the Report? How do you avoid it becoming another document for people to read and then return to business as usual? The Report must be convincing, but that won’t solve the problem alone. The most important thing is to embed the Report within broader activities of the Coalition and those working in food and land use sectors. That means working with dedicated people and processes to drive real change. Following its launch in September, members of the FOLU Coalition will use the Report to inform conversations and collaborations with government ministers, business leaders, farmers and civil society groups to translate recommendations into implementation and investment plans. Local ownership will be critical: the Report will provide the rationale and a framework for change, but local leaders will need to make changes and considerations that fit with their priorities and constraints. What are some of the emerging themes and hypotheses of the Report? What is the opportunity if we get food and land use systems ‘right’? We cannot transform the food and land use system meaningfully without addressing poverty – particularly in rural areas, where the majority of the world’s poorest live. Moreover, there are huge opportunities. We can create an extra 70-100 million jobs in the rural economy while protecting the environments that support these communities. We can expand the supply of nutritious healthy food for the global population in a way that halves nutritional deficits and respects planetary boundaries. There are clear steps that those working in public and private sectors can take to build these systems – by closing the forest frontier, restoring up to 500 million hectares of degraded land to productive uses, redirecting $500 billion of agricultural subsidies towards sustainable ends, and leveraging technology to increase the efficiency, equality and transparency of our agricultural systems. And much more. What’s at stake? What do we risk if we don’t act now? Fundamentally, ecological and climate collapse, which will undermine the very foundations of the food system and wider economy as we know it. Globally we are exceeding the planetary boundaries for nutrient flows and biodiversity. We are approaching the limit for climate change. Rising numbers of diet-induced diseases and mortality both burden economies with massive health costs and cause suffering to many. Failure to build more equitable food systems and resilient rural communities will exacerbate rising inequality and destabilising forces of poverty and migration. Failing to transform our dysfunctional food and land use economy today will only exacerbate the situation and make the problem harder to fix. What would you be doing now if you weren’t tackling the problem of transforming the food and land use system? I'd spend more time in the woods around Oslo cross country skiing – it allows me to enjoy the natural world we are trying to protect in the little time I have between raising kids and writing the Report! The FOLU Ambassador network is made up of a wide range of leading experts, innovators and practitioners in food and land use systems. In this piece, we hear from Inger Andersen, Director General of the International Union for Conservation of Nature. In her role as Director General of the International Union for Conservation of Nature (IUCN), FOLU Ambassador Inger Andersen works to equip public, private and non-governmental actors with the tools and knowledge to enable human progress, economic development and nature conservation to take place together. The Danish economist and environmentalist has more than 30 years of experience in international development economics, environmental sustainability, and policy-making, as well as in designing and implementing projects and impact on-the-ground. Before joining IUCN, Inger was Vice President for Sustainable Development at the World Bank and Head of the CGIAR Fund Council. Your career has often combined social and economic development with environmental sustainability. Have you always seen these as linked? Where do you see the key intersects? My career has been guided by the principle that environmental sustainability is inextricably linked with social and economic development. In fact, my first job out of university was with a non-governmental organisation in Sudan, where I worked on drought and emergency relief work for four years. We need to understand that it is the world’s poorest and most vulnerable who will be hit first and hardest by climate change, and so development cannot be separated from environmental sustainability. We hear a lot about the trade-offs between agriculture and biodiversity. What do you see as the key areas of tension – are these real or perceived? Plenty has been written about the trade-offs between agriculture and biodiversity, not least the role of agricultural expansion in the clearance of grassland and deforestation. However, it is also important to look at common ground between agriculture and conservation in terms of biodiversity. For example, agricultural productivity is greatly influenced by soil biodiversity. Soil biodiversity determines soil fertility, including the level of organic carbon and nitrogen in the soil. Soil biodiversity also has a major influence over soil moisture. In many parts of the world, trees play an important role in maintaining soil productivity and in managing agricultural risks. Biodiversity in farming landscapes provides important habitats for pollinators, while the biodiversity of crop and livestock breeds can be crucial for diversifying risks and adapting to climate change. What are the key benefits of integrating biodiversity into agriculture? What would it take for agroecology and other agricultural practices that integrate biodiversity to take off? Biodiversity is integrated into agriculture to different degrees depending on the farming practices that are used. The solutions for more sustainable farming are well-known and they include practices like reducing soil disturbance, maintaining soil cover and practicing crop rotation and diversification. If we aim to conserve sustainable farming landscapes we can conserve both on-farm biodiversity and biodiversity beyond the farm boundary. Sustainable farming provides a number of external benefits and these may hold the key to getting agroecology practices to take off. In addition to providing food, sustainably managed agricultural landscapes can protect water sheds, reduce the risk of droughts and floods, and mitigate climate change. These are services to society that are worth investing in and we can do more to support farmers as stewards of the environmental and providers of such public goods. Where have you seen the biggest successes in conserving and/ or restoring biodiversity? If we are talking about biodiversity in relation to agriculture, then we need to look at regions where sustainable farming practices are being practiced on a large scale. In the Sahel region of West Africa, for example, millions of hectares of cropland are under agroforestry. Numerous countries, including the USA and Mongolia, have restored grasslands through improved herd management practices. However, we need to do more to measure the conservation benefits of sustainable land management and to validate good practices. There are many trade-offs in land management and we need stronger evidence to handle these trade-offs more effectively. This includes better knowledge on the value of different ecosystems services that are influenced by farming practices and better assessment of overall ecosystem health. The IUCN Red List of Ecosystems is emerging as a useful standard for tracking changes in ecosystem health and for assessing where ecosystems are managed sustainably or where they are in need of greater protection. What do you see as the most promising trend in terms of conserving and restoring biodiversity? The most promising trend is that biodiversity conservation and restoration has become increasingly “mainstreamed”. Biodiversity conservation is important because we need it – healthy ecosystems provide services such as pollination for agriculture, water regulation and good air quality. Biodiversity conservation measures are now also part of the agenda across different sectors, often with a species management focus. People now realise that to preserve species such as tigers, snow leopards and mountain gorillas, they need to maintain vast landscapes and critical patches of natural habitat – with the ecosystem services they provide - whilst still helping local communities to develop and escape poverty. The FOLU Ambassador network is made up of a wide range of leading experts, innovators and practitioners in food and land use systems. Here, we hear from Divine Ntiokam, Founder and Managing Director, Climate Smart Agriculture Youth Network. FOLU Ambassador Divine Ntiokam recognises the critical importance of the youth in building a resilient, sustainable and prosperous agricultural sector in Africa. Without an educated and ambitious future generation of farmers, the seeds of sustainability planted today will not bear fruits. Moreover, the youth have much to gain by developing more resilient and prosperous food systems. This passion drove Divine to start the Climate Smart Agriculture Youth Network (CSAYN) in May 2014, of which he is now the Managing Director. Teams in 37 countries work to raise awareness of Climate Smart Agriculture among young men and women, educating them in the benefits of sustainable approaches to increasing agricultural yields and resilience. Alongside his role in CSAYN, Divine was elected as the African Continental Vice President of Youth in Livestock, Fisheries and Aquaculture Incubation Network in July 2018. By providing business incubation and powerful networks of support, the Network aims to build an Africa in which youth-owned enterprises in animal resources contribute to poverty reduction and food security. Divine’s entrepreneurialism and advocacy for greater inclusivity is nothing new. His background includes rich experience in youth mainstreaming, most notably in coordinating and facilitating the translation of the Sustainable Development Goals into over sixty local languages on the African and Asian continent to ensure that “No One Is Left Behind”. Divine participated in the Food and Land Use Policy Symposium at the African Green Revolution Forum in Kigali, Rwanda on 7th September. The official launch of the Australian component of the Food and Land Use Coalition (FOLU) took place in Melbourne on 15th October, with participants highlighting the urgency of action and the huge opportunities to tap into. Professor Jeffrey Sachs – world renowned economist and Director of the UN Sustainable Development Solutions Network – hosted the event, which brought together the FOLU Australia partnership between Monash University (through ClimateWorks Australia), the Commonwealth Scientific and Industrial Research Organisation (CSIRO) and Deakin University. The Australian initiative, Land Use Futures: Pathways to a Sustainable Food and Land Use System, aims to catalyse the transformation of Australia’s food and land use systems to build agricultural resilience and food security; improve diets; reverse environmental degradation and biodiversity loss; cut emissions and sequester significant levels of carbon. The FOLU initiative will produce pathways that aim to achieve multiple Sustainable Development Goals at the national scale for the Australian land sector. There are immediate pressures and opportunities facing the Australian agricultural sector – including concerns about environmental issues and increasing scrutiny of Australia’s clean and green credentials – that require coordinated, accelerated action. Moreover, minimising trade-offs and unintended consequences requires a better understanding of the complex interactions within food and land use systems. This is critical to avoid pursuing insufficiently ambitious strategies, making choices that deliver benefits in one area but cause problems elsewhere, or missing opportunities that offer multiple benefits. Professor Jeffrey Sachs and ClimateWorks Australia's CEO Anna Skarbek discussed the timely nature of the initiative and the economic case for transforming food and land use systems to restore Australia’s precious ecosystems, while supporting healthy and prosperous lifestyles for Australians. The event benefited from presentations by Dr Mario Herrero (CSIRO) and Professor Brett Bryan (Deakin University). Dr Herrero commented that Australia has made some progress in achieving sustainable food and land use practices, but these efforts need to be greatly accelerated to achieve the Sustainable Development Goals (SDGs) and national climate targets. Agriculture is an important economic contributor to the Australian economy but it is also responsible for 12% of the country’s carbon emissions and half of its fresh water consumption. Professor Bryan emphasised that developing new, more comprehensive pathways for sustainable food and land use systems will help identify the actions that will accelerate positive change in Australia. Acting early to address the complex challenges facing the Australian food and land use systems represents an enormous opportunity for Australian agricultural businesses, and the national economy as a whole. By cementing and expanding Australia's competitive advantage in agriculture, there is scope to build resilience and a brighter future for people and planet. More information about the launch event is available here. To learn more about the Land Use Futures: Pathways to a Sustainable Food and Land Use System project, visit the ClimateWorks Australia website. Partners in the first nation-wide public-private collaboration aiming to reduce food loss and waste outside the Western world came together in Jakarta in November to kick-off the Indonesia Food Loss and Waste Action Partnership. In Indonesia, a country of 260 million people, the equivalent of 300 kilograms (660 pounds) per person is wasted every year, largely before fruits, vegetables, fish and grains reach consumers. The agricultural sector represents about a third of total employment in Indonesia. More than 90 percent of farming is by small family farmers who would be the primary beneficiaries of food loss saving. Supported by key ministries (Health, Environment and National Development Planning), the partnership brings together private sector and civil society, including delegates from multiple organizations of FOLU Ambassadors and Partners, such as GAIN, Rabobank, Olam, and Yara, all sharing the partnership’s ambition: to support SDG 12.3 on halving food loss and waste and to develop and realize a plan of action to drastically cut food loss and waste in Indonesia, a country of 260 million people with the second highest per capita food loss and waste rates in the world. The Partnership is convened by the Food and Land Use Coalition and coordinated by the World Business Council for Sustainable Development with financial support from P4G, the Partnering for Green Growth and the Global Goals. The second Tri Hita Karana Forum returned to Bali in October 2018, five years after the inaugural gathering. The Forum aims to align global action for the UN Sustainable Development Goals (SDGs), with a particular focus on mobilizing private capital and innovation for the SDGs in Indonesia and South East Asia. As the fourth most populous country in the world, and one of the fastest growing emerging markets, Indonesia’s leadership on sustainable development is critical. The Food and Land Use Coalition hosted a panel discussion at the Forum, at which leaders from across the finance community explored the key barriers and opportunities in financing sustainable food and land use systems. Food and land use offer at least 37% of the solution to reach net zero emissions by 2050. In Paris, 123 countries put food and land use in their SDG targets. But three years on, nothing has happened. No significant funding has been mobilised. The aim of the session was to explore why this is and identify the opportunities to drive change. Many financiers still see food and land use as too risky to invest in. Yet speakers on the panel argued that these perceptions of risk are often misguided. 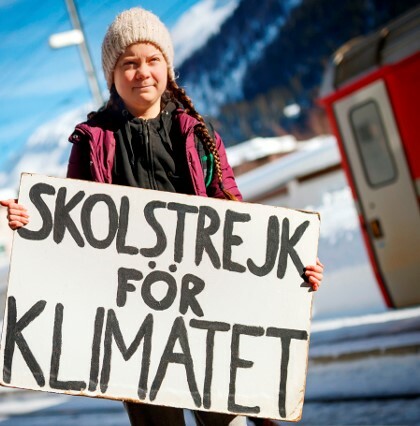 The findings of the IPCC report prompt a reappraisal of risk. By failing to act, investors are not only missing out on huge opportunities but are also failing to recognising the risks inherent in unsustainable practices. Irresponsible practices are at risk of being subject to strict legislation; land degradation and deforestation weakens the resilience and productivity of supply chains; and consumers are starting to turn their backs on brands that fail to prove their positive impact in the world. Long-term capital is critical to support sustainable food and land use projects. The challenge is to hold companies permanently to account. The emergence of ‘historical liabilities’ – as introduced by the RSPO – represents a powerful way to place more long-term accountability on companies. This creates an additional source of demand for sustainable projects. Encouragingly, long-term capital is available: asset owners such as pension funds and life insurance brokers take a long-term perspective, but so too do some private investors looking to diversify their risk. Companies see the need to invest in sustainable food and land use as consumers increasingly want to know the provenance of their products. What’s more, many have made commitments that require greater investment in sustainable food and land use projects. The key is to meet this demand with investible projects. Another striking source of demand is High Net Worth Individuals, particularly Indonesians. They have proved critical investors in the Tropical Landscapes Finance Facility – driven in part by a sense of responsibility for their country, as well as attractive returns. Now we need to structure a market that meets the needs of an increasingly interested private sector. By creating a new, structured and institutionalised market place where investment becomes possible, the various players can all play valuable roles to increase overall investment. 80% of the $500 billion spent on agricultural subsidies goes to “the wrong people for the wrong crops in the wrong places in the wrong way” – by driving unsustainable production, use of inputs, selection of crops and more. There is huge opportunity in reformulating subsidies into investments that helps farmers while delivering public good outcomes. Participants also highlighted the opportunities in taxing unsustainable, unhealthy foods to incentivise healthier diets, while providing additional revenues to invest in food and land use systems. Forest-related fiscal transfers can similarly encourage behaviour shifts, ultimately reducing deforestation. Partnerships are absolutely everything. Partnerships are essential to pool expertise and create broader, stronger projects. Great work is being done – but in siloes. We need to work across sectors to feed the world in a sustainable way and provide decent jobs to farmers. Equally, we need consortiums of businesses to act collectively and overcome competitive forces, which today continue to hamper us from doing what makes sense. By translating commitments into collective action, companies can drive change throughout supply chains. The Tropical Landscapes Financing Facility (TLFF), AndGreen and SCCM are mutually supportive and essential. TLFF operates in largescale agriculture and sustainability on ‘produce and protect’-style investments. Yet the areas beyond those productive landscapes that TLFF focuses on are ecosystem concessions with no protection today, which require investment. AndGreen could be a great vehicle but to invest, they need demand to create a value proposition: SCCM seeks to build that demand. The result is a powerful constellation of largescale investments, smaller scale investments and more. Tri Hita Karana is a traditional Balinese philosophy of life, meaning ‘Three Ways to Happiness’. The literal translation is ‘Tri’ for three, ‘Hita’ for happiness and ‘Karana for causes or ways. The three ways to happiness are: (i) harmony of people with people, (ii) harmony of people with nature and (iii) harmony of people with the spiritual. Participants across the Forum were invited to consider this philosophy as they engaged in their sessions. The launch of the Sustainable Commodities Conservation Mechanism (SCCM), an innovative financial mechanism to promote long-term conservation through global commodity markets. Developed by environmental startup Lestari Capital, the initiative is a landmark success for the Partnerships for Forests program. Lestari Capital mobilizes private sector finance for ecosystem restoration, conservation and community forestry projects that deliver climate, community and biodiversity impacts over a 25-year time period. Initial finance will come from palm oil companies which need to support conservation projects as part of new sustainability commitments associated with the Roundtable on Sustainable Palm Oil (RSPO). The announcement was made alongside the DFID Permanent Secretary, and Lestari’s first client, Cargill Tropical Palm Oil. Read more here. President Joko Widodo delivered a special address on the second day of the Forum, stating that Indonesia can show the rest of the world how to be happy. “We may not be the richest, we may not be the most advanced, but it turns out we are among the happiest people in the world,” said President Widodo speaking in front of the more than 400 people attending the Forum. The President pointed to a 2018 study which found that Indonesians were the most optimistic people in the world, and the eighth happiest people in the world. Champions support the “SDG Indonesia One” Blended Platform led by the Ministry of Finance and Indonesia’s national infrastructure financing institution, PT SMI (Sarana Multifinance Infrastruktur) SDG Indonesia One is targeting US$4 billion for largescale green infrastructure projects. Funds collected through the platform have already reached US$2.34 billion. Read more here. FOLU Indonesia lead Sonny Mumbunan outlined the challenges and opportunities Indonesia faces to partner sustainable food and land use systems with strong and resilient economic growth. Sonny shared his at two points during the Forum - during the Plenary Session and in the FOLU-hosted session on financing sustainable food and land use systems. Read more on the FOLU session here. The Global Climate Action Summit brought together leaders and organisations from across sectors to celebrate extraordinary achievements in climate action and take ambition to the next level. The Summit was a launchpad for worldwide commitments and accelerated action from countries—supported by all sectors of society—that can put the globe on track to address climate change. The Summit saw a wave of announcements and campaigns, selection of which are highlighted below. The 30X30 Forests, Food and Land Challenge called on businesses, states, cities, local governments and global citizens to take action for better forest and habitat conservation, food production, consumption and land use, working together across all sectors of the economy to deliver up to 30% of the climate solutions needed by 2030. On 12th September, the Forest, Food and Land Challenge Coalition hosted a one-day event to showcase the essential role of food and land use systems in addressing climate change, with a range of discussions and talks at the Herbst Theatre. Hosted by Frances Seymour (Distinguished Senior Fellow, WRI) and Manuel Pulgar (Global Lead on Climate and Energy WWF), discussions explored how food and land use can combat climate change, with a particular focus on the role of non-state actors and indigenous communities, investment opportunities, climate smart agriculture and reducing food waste. As part of the day, the FOLU Coalition worked with members of the Challenge Coalition, including WWF, to arrange an armchair discussion on the role of business in driving systemic transformation of food and land use systems, featuring Barry Parkin (Chief Sustainability Officer and Procurement Lead, Mars), Christine Daugherty (VP Global Sustainable Agricultura and Responsible Resourcing, PepsiCo) and FOLU Principal Jeremy Oppenheim (Founding Partner, SYSTEMIQ). Highlights from the session are outlined below. We must face the facts - efforts to halt destruction today are inadequate. Malnutrition - a result of either too little healthy food or too much poor-quality food - is a global pandemic. Agricultural production is driving widespread natural capital destruction and weakening regenerative cycles. This is deepening the rural poverty trap creating both chronic stress and heightened vulnerability to the multiple impacts of climate change. Leading businesses have a responsibility to build the economic case for action and lead by example. Discussants agreed that we urgently need to scale-up action to have meaningful impact: 600 organisations have made zero-deforestation commitments, yet global rates of deforestation remain the same as in 2010. ﻿Alleviating smallholder farmer poverty is a moral obligation – and a business priority. As smallholder farms shrink below the point of cost-effective production, the implications for land-ownership restructuring, rural-urban migration and rural employment remain unclear, however there is a clear business risk that farmers will be compelled to leave agriculture for the cities. In addition, consumers are increasingly seeking reassurance that a fair share of the money they pay to food is going to the farmer, not snatched up by different interests along the supply chain. The panellists emphasised the importance of strengthening the rights and livelihoods of farmers in delivering system wide transformation of our food and land use systems. Are we reaching the end of the commodity era? Barry Parkin emphasised the importance of aligning procurement with environmental and social parameters that support sustainable growth. Companies must move away from buying the ‘unknown’, driven primarily by low costs. Instead, they need to develop transparent long-term contracts that are built on trust and risk management to support resilient supply chains. Mars are building a new model for the cocoa supply chain through developing strong public-private partnerships involving clear regulations with monitoring and traceability techniques to ensure we recognise the value of cocoa, and not just as a commodity. Such a shift reflects the emotional and social power of food: companies that can show they source their products responsibly will benefit from greater consumer engagement and loyalty. Adaptive change is not enough: we need system transformation to address the faults in the food and land use system. Partnerships, commitments and technological innovation are supporting improvements in supply chains. But this is not enough. Jeremy Oppenheim challenged companies to integrate sustainability into their business strategy in a systematic way. Firstly, they can reallocate their Research and Development spend to develop and promote healthy and nutritious products available for everyone. Secondly, companies can shape demand in amazing ways: by deploying formidable marketing capabilities towards sustainability, they can become part of the solution rather than part of the problem. Finally, to drive systemic transformation, financial markets must also be transformed. Companies need to argue in favour of regulation and tough policy where incentives for good work are sharpened and externalities are properly costed. The discussion highlighted that incremental change is not enough, we urgently need to transform our food and land use systems to address the imbalance and prevent further destructive behaviour. With systems-style thinking, businesses have a responsibility to lead the transformation using technology, innovation and investment to unlock opportunities across the whole value chain. No one company can transform the systems alone, business must collaborate with partners across all sectors and lead the movement for change. The world’s food and land use systems are in urgent need of reform if we are to meet the targets set by the Sustainable Development Goals, the Paris Climate Agreement. To do so, actors need to break down barriers, build shared understanding and ambition, and drive action through collaboration. In this spirit, EAT, the World Business Council for Sustainable Development, the Food and Land Use Coalition (FOLU) and the World Economic Forum together established the Food Systems Dialogues (FSDs) earlier this year. The FSDs will serve as a platform where people from a range of sectors can share their experiences, cultivate trust and form partnerships to accelerate the transformation of food and land use systems. The average dinner plate is the result of rich and interlocking supply chains, spanning diverse landscapes and connected to the lives and livelihoods of billions of people. Such integrated systems go hand in hand with sustainable development. But today, our food systems do not enable people to access the nutritious food they need in an environmentally sustainable way. Global hunger has risen for the past three years, halting a trend of declining rates that had seen hunger drop by 20% since 1990. Over 800 million people are chronically under-nourished, while at the same time 2 billion people are over-weight. Food and land use systems currently account for 24% of greenhouse gas emissions and use over 70% of the world’s fresh water resources. This environmental degradation is deepening the rural poverty trap, creating both chronic stress and heightened vulnerability to the multiple impacts of climate change. Transforming these systems so that they provide healthy, nutritious outcomes for all, support environmental and climate stewardship and drive rural development and shared prosperity will require collaboration across industries and sectors. People urgently need to join forces to raise ambition and develop a shared understanding of the opportunities, challenges and trade-offs to build sustainable systems. “I work with food, because food is a connector. 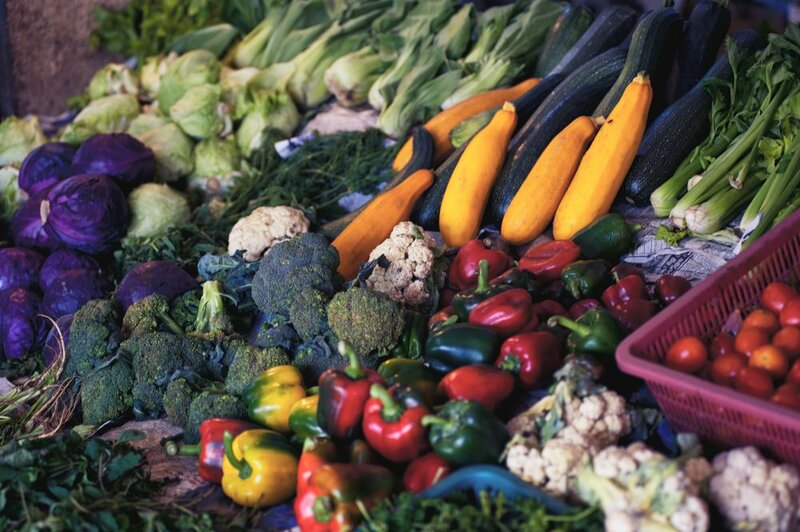 Food is key to healthy people & communities, a fair economy and to a healthy planet. If we get it right with food – we get it right for so much!" The Food Systems Dialogues will be hosted in the margins of international meetings around sustainability and food systems, bringing together decision-makers from local and national governments, consumer organizations, as well as small and large-scale food producers and processors, businesspeople, civil society groups and international organizations. Participants will discuss food systems policies and economics, science-based pathways, the potential of innovation and the absolute need for all stakeholders to be included in dialogue. The Food Systems Dialogues are designed to be sequential, building on each other, enabling participants to continue debate and the evolve their positions over time. These “red-thread” Dialogues will be encouraged and advanced at local, national and regional level. Results will be synthesised and then threaded among Food Systems Dialogues at the different levels where they take place. The first of the international Food Systems Dialogues took place at the EAT Stockholm Food Forum in June 2018. Around 80 participants were hosted for a five-hour session, with two rounds of Dialogue at seven facilitated round-tables. Key points considered included the need to support a clear vision of what future sustainable food systems will look like and the need to take people into account as well as food, particularly maintaining focus on poorer communities. The red thread continued to the second of the international Dialogues at the WEF Sustainable Development Impact Summit in New York on September 25th where the focus was on the major innovations that could accelerate successful transformation while taking account of trade-offs necessary for this to happen. The first national dialogues were held in Oslo in mid-September and a regional programme is in development. Since then, interest has grown. As we round out 2018, more Dialogues are planned around the world. Most notably, the first national Food Systems Dialogues are set to take place in India, where transformation of food and land use systems is critical to drive further equitable economic development. The Food Systems Dialogues are an exciting and pioneering initiative aimed at creating the conditions for collaboration that will drive an integrated approach to transformation. The FOLU coalition looks forward to participating in and learning through them. The Food and Land Use Coalition (FOLU) seeks to empower actors to scale up efforts and accelerate the transformation of food and land use systems. Country ownership of the FOLU agenda is critical to deliver action on-the-ground that is sensitive to specific local circumstances. In Colombia, rich natural resources and a political window of opportunity in the wake of the peace process offer the potential for rapid, systemic change that could deliver huge benefits for people and planet. Colombia is at a unique moment in its history. The country has been growing steadily, is increasingly consid­ered a “good place to do business” and to visit and has entered a stabilization phase. To fulfil its potential, Colombia needs continued economic growth and stability, underpinned by strong and resilient supply chains and greater equality between urban and rural areas. Critical to strengthening supply chains is the restoration and conservation of Colombia’s unique ecosystems. These are essential to support more productive agricultural landscapes that in turn could produce the goods and services that people need to support healthy livelihoods. 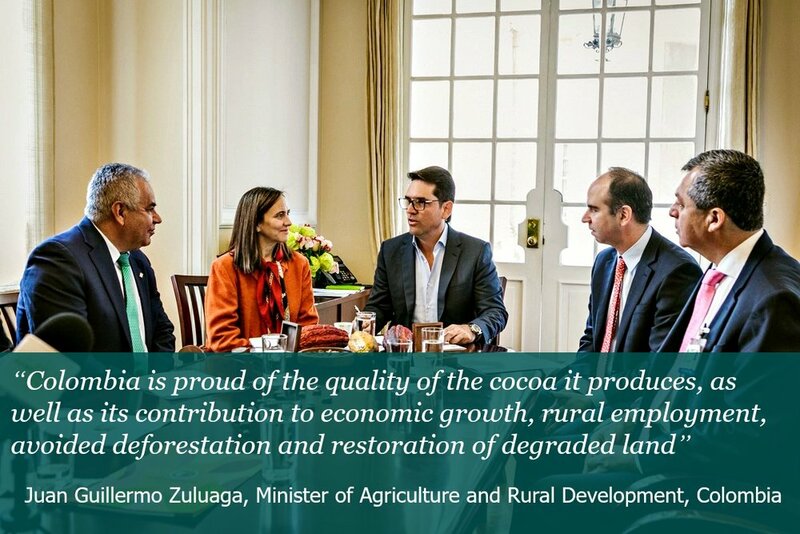 The recent announcement that Colombia has joined the Cocoa and Forests Initiative is a great step forward. But more can be done. Colombia can strengthen deforestation-free value chains across export crops like coffee and palm, as well as in livestock and dairy production. Livestock has been identified as the major driver of deforestation in Colombia over the past 20 years. Exciting efforts are emerging. For example, Initiative 20x20 is a country-led effort to restore 20 million hectares of land in Latin America and the Caribbean by 2020. The World Resources Institute (WRI) is working with 40 technical organisations and institutions to support Initiative 20x20 through their Global Restoration Initiative by facilitating the dialogue between governments, civil society, and the private sector to build an effective coalition that can achieve the initiative’s goals. It is critical to engage with farmers to understand the challenges they face and the motivations behind destructive agricultural practices. Members of the FOLU Coalition in Colombia are hosting conversations with local farmers’ groups and cooperatives, laying the groundwork for broader collaboration with key organisations. Strengthening conservation measures is fundamental to preserving forests. FOLU members in Colombia are engaging with Heritage Colombia, a fund created to increase the amount of protected land in Colombia and to ensure the proper management and governance of land both within and outside protected areas – including private reserves, land managed by Afro-Colombian communities and land owned by indigenous communities. The initiative, led by the Government of Colombia, with support of WWF, the Gordon and Betty Moore Foundation and the Biodiversity Fund, has chosen a number of priority areas in which to work on sustainable landscapes. There is scope for the Food and Land Use Coalition to combine forces in a number of these landscapes. Ecotourism can also act as a powerful lever to support conservation and restoration and strengthen sustainable food and land use systems. Costa Rica has demonstrated the potential of ecotourism to drive economic growth. The country, which has dedicated around a third of its land mass to conservation, now receives over 2 million visitors each year, with tourism contributing 5.1% of GDP of which over half is estimated as ecotourism. 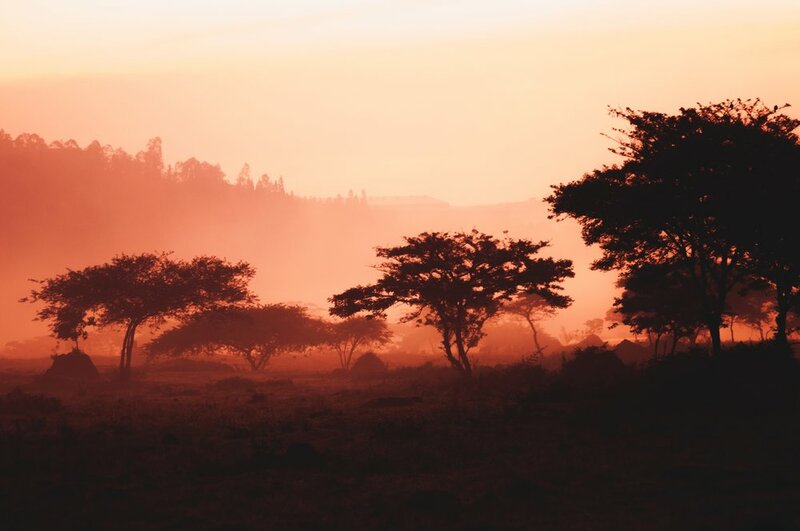 Members of the FOLU Coalition have highlighted efforts to support deforestation-free value chains – and the potential role of ecotourism in supporting this – as one of six priority areas for further action. Other areas include: (i) forging public private partnerships to support healthy and nutritious diets and to reduce food loss and waste, (ii) supporting producer and consumer working groups on better pesticide and fertilizer management, (ii)developing a programme on healthy and sustainable nutrition in the Colombian education system, (iv) bringing together public and private actors to engage directly on specific supply chains and (v) channelling investments to scale sustainable business models. These plans for transformation, outlined in our Action Agenda for sustainable food and land use transformation in Colombia, have been shared with the highest level of government. Paul Polman, chair of FOLU, met recently elected Colombian President Ivan Duque in September to share the work of the Colombia team and the new leader expressed his excitement at the prospect of integrating the findings into the country’s National Development Plan for 2018-2022. Meanwhile, members of the FABLE Consortium in Colombia have continued to ramp up work on modelling Colombia’s food and land use systems over the last couple of months. Work has begun with the country-level modelling tool, the FABLE calculator, to develop long-term pathways for sustainable food and land use systems in Colombia. Initial results are due shortly. By building capacity to assess the trade-offs and opportunities in sustainable food and land use systems, collaborating with partners to drive joined-up action and highlighting the economic opportunities for both public and private sectors, a brighter future for Colombia is emerging. A ‘new food and land use economy’ could reshape its food and land use systems into a powerful engine of sustainable growth, boosting income generation, employment and business opportunities. First established in 2010, following a three-year series of African Green Revolution Conferences (AGRC) held in Oslo, Norway from 2006-2008, the African Green Revolution Forum (AGRF) has emerged as Africa’s leading “platform of agriculture platforms”. It brings together a range of critical stakeholders in the African agriculture landscape to discuss and commit to programs, investments, and policies that can counter the major challenges affecting the agriculture sector on the continent. This year, the Forum took place in Kigali, Rwanda. FOLU was delighted to host the Food and Land Use Policy Symposium on the third day of the Forum, Friday 7th September. In his opening remarks for the Policy Symposium, H. E. Dr Eyasu Abraha Alle (Minister of Environment and Natural Resources, Ethiopia) captured the optimism and ambition that characterised the AGRF more broadly. Participants in the Policy Symposium shared a range of perspectives on the transformative change required to develop sustainable food and land use systems. Elsewhere at the Forum, FOLU benefited from rich conversations with policy-makers, business leaders, entrepreneurs, development finance organisation, academics and civil society representatives. Many participants spoke of the unique and profound challenges that Africa faces. Rapid population growth, climate change impacts and systemic faults pose huge challenges and trade-offs for African agriculture to become self-sufficient, food secure and prosperous. However, there was a sense of opportunity to build sustainable agricultural systems in Africa that drive economic growth and help to deliver on global sustainable development goals. The fate of smallholder farmers is central to a sustainable African agricultural transformation. Transformation must be based on sustainably increasing agricultural productivity, segmenting and supporting smallholder farmers as agri-businesses, and building a commercial agricultural system. Moreover, broader structural change must support transformation. The commercialisation of African agriculture will not be possible without systems that support inter-regional African trade. Beyond commercialising agriculture, leaders need to manage migration flows and develop urban and rural landscapes that support healthy, prosperous people and planet. System-wide transformation is vital to address trade-offs and synergies in food and land use systems. We need to shift away from a development model that has seen higher productivity in Africa at the cost of natural resources, that has focused on volume rather than value and rural livelihoods, and that perpetuates many African countries’ dependence on imports from outside the continent. This is all the more urgent given rapid population growth and climate change, which in turn increase the pressure on agricultural systems, food security and jobs. To deliver this, African countries need support to build capacity to make long-term integrated decisions in land use planning. A key requirement is more granular data: many African countries still lack the richness of data to properly understand natural resources like soil quality, land use and ownership today. Greater investment is also needed to unlock Africa’s potential. Budgetary constraints continue to prevent African countries from investing in sustainable food and land use systems at the scale required. Increased investment should be channelled towards improved extension services, technologies and talent. At the same time, financial incentive structures need to be transformed to promote sustainable outcomes. Agricultural subsidies could be reformed to promote the production of more diverse crops and sustainable farming practices. Improved information and infrastructure systems could support regional trade. Many called for greater collaboration to create the enabling environment for transformation. Collaboration enables actors to align different interests behind a shared vision, identify opportunities and tackle trade-offs. In Ethiopia FOLU members are using a ‘cluster approach’ to bring together agribusinesses, farmers, regulatory bodies and others to discuss shared challenges, opportunities and goals. Collaboration enables decision-makers to draw on a wide range of skills and expertise. Gilbert Houngbo, speaking at the Presidential Summit on 8th September, called for a commitment to scale-up existing projects. Public private partnerships – like FOLU – are a powerful way of doing this. So too are international agreements, like the African Continental Free Trade Agreement, signed by 44 of the 55 members of the African Union in Rwanda in March 2018. Many leaders at the Forum called for further support and expansion of the agreement. Collaboration cannot occur solely at the high-level. Leaders must support those currently marginalised in the transformation. For example, we must equip women to actively drive agricultural transformation through their role as producers and as providers of food and nutrition for their families and communities. Many called for tracking systems that enable the naming and shaming of those countries that are not moving fast enough to improve women’s rights and status. In addition, with the youngest population in the world, we cannot talk about sustainability in Africa without talking about the youth. If we don’t include young people at the table to discuss challenges, we will continue to operate with BAU for the next 30 years. Jeremy Oppenheim drew on these themes in an interview with pan-African CNBC show “Beyond Markets”, in which he discussed the links among biodiversity, agriculture, health, and climate change and economic growth. Watch here. The ideas and experiences shared at the African Green Revolution have convinced the FOLU Coalition of the need to develop a strategy for engaging more deeply in the continent. The core organisations seek to draft a strategy document, in close collaboration with organisations based in Africa. The Government of Colombia has become the first Latin American country to commit to deforestation-free cocoa, as part of the Cocoa and Forests Initiative. The Government of Colombia – along with its largest cocoa company, Casa Luker, the National Cocoa Federation, and in partnership with WRI and IDH – has committed to eliminate deforestation from the country’s cocoa supply chain by 2020. Colombia made the commitment as part of joining the Cocoa and Forests Initiative, a global effort to ensure deforestation-free cocoa. FOLU congratulates Colombia and all those involved in developing this initiative, including core members of the FOLU team operating in Colombia. Together with over 50 organisations from both public and private sectors, the FOLU team has produced a ‘Roadmap for a New Food and Land Use Economy for the Peace in Colombia’ – a set of strategies to advance sustainable rural economic development in Colombia, including policy and investment recommendations and business models to scale. Cocoa is a strategic crop for Colombia: the country primarily produces high-quality Fino de Aroma cocoa, which is sought after on international markets. Unlike in West Africa, Cocoa is not currently a significant driver of deforestation in Colombia. Other activities have put pressure on the country’s forests, including livestock, cocoa production and illegal timber clearing, mining and infrastructure. Yet paradoxically, rates of deforestation have soared since the conclusion of the peace process, as parts of forest previously inaccessible due to the presence of illegal armed groups have now been opened-up to agriculture and other activities. The Government of Colombia sees cocoa as a solution to the problem of deforestation: agroforestry-based cocoa is part of a comprehensive program to protect existing pristine forests and restore degraded land. Not only this, but cocoa will play an essential role in providing rural employment to farmers and communities previously involved in the conflict. In fact, the initiative will be called the ‘Cocoa, Forests and Peace Initiative’, in honour of cocoa’s role in advancing the historic peace process. The Cocoa and Forests Initiative began in 2017 and seeks to create a global movement for deforestation-free cocoa. Cote d’Ivoire and Ghana, which together grow 60% of the world’s cocoa, were the first countries to join the initiative. With its rich natural resources – including globally important tropical forests – and promising signs of progress, Colombia is a highly valuable new partner in the initiative as it continues to transform the cocoa sector for benefit of people and planet. The Food, Agriculture, Biodiversity, Land Use and Energy (FABLE) Pathways Consortium, convened by the Sustainable Development Solutions Network (SDSN) and the International Institute for Applied Systems Analysis (IIASA), met for its second full consortium meeting on 6-8 June at IIASA in Austria. Close to 30 FABLE country team members attended in person and were joined by 20 team members from the FABLE Secretariat, the Potsdam Institute for Climate Impact Research (PIK), and the Food and Land Use Coalition (FOLU). The meeting offered the opportunity to elevate the work of country teams across the globe by sharing knowledge, refining the framework to guide the Consortium’s analytical work and collectively raising ambitions. At the meeting, the FABLE teams adopted an ambitious work program and refined the FABLE pillars for sustainable land-use and food systems (figure below), which organise sustainable food and land use systesms into five simple categories, which will guide FABLE’s analytical work. The Consortium also explored operational 2030 and 2050 targets, which will act as North Stars for the pathways developed by country teams. These will be consistent with the SDGs, the Paris Agreement, and the Aichi biodiversity targets. For example, the consortium will explore how the “Half Earth” concept developed by E.O. Wilson might be translated into measurable variables to help inform country-level action to protect and restore biodiversity. In advance of the meeting, 25 researchers participated in a FABLE training workshop on partial equilibrium modelling and global land-use allocation models developed by IIASA and PIK. The event was a great success thanks to the focus, solidarity, and motivation of this large and diverse group of researchers. The FABLE Secretariat and partner institutions are now focusing on the next steps to strengthen this new community of practice around global land-use allocation modelling and its application to developing FABLE pathways. Adding to this significant progress, the work of the FABLE Consortium has been formally proposed for adoption by the G20 as a signature initiative on the SDGs by the T20 (Think20) – a group of influential think tanks from G20 countries. This serves to validate the Consortium’s world-leading work, as well as introducing the benefits of the modelling work to a broader and critical audience, placing it in the context of existing national development processes. Request national FABLE research teams to engage with government agencies to develop integrated long-term national pathways towards sustainable land-use and food systems consistent with global goals. With these words, Paul Polman (CEO, Unilever and FOLU Chair) opened an insightful and action-oriented roundtable at the Global Environment Facility (GEF) 6th Assembly in Da Nang, Vietnam in June. Moderated by FOLU’s Jeremy Oppenheim, the session focussed on the huge opportunity offered by the GEF’s recent allocation of $500 million to the Food Systems, Land Use and Restoration Impact Program. Through this programme, countries can receive support under three broad themes: promoting sustainable food systems to tackle negative externalities in value chains; promoting deforestation-free agricultural commodity supply chains; and promoting large-scale restoration of degraded landscapes for sustainable production and ecosystem services. The panel brought together leaders from the public and private sector, academia and civil society to share their experiences of working in food and land use, providing examples of integrated and collaborative action that delivered social and environmental benefits while driving economic growth. This mirrors the approach taken by the Coalition in pioneer countries Colombia, Indonesia, Ethiopia and Australia. Participants emphasised the need to revitalise rural areas – beyond increasing farmer productivity. Increasing productivity is not sufficient to improve farmer livelihoods. Training in sustainable practices and access to markets are essential to create lasting, independent income streams for farmers. Moreover, rural areas offer an opportunity to tackle some of the biggest social and environmental challenges, including smallholder income, environmental damage and biodiversity loss. To drive change, four broad actions were discussed. Firstly, investment in rural and agricultural areas – shifting away from governments’ current focus on industry. Secondly, an integrated governance approach that brings together stakeholders from across government ministries, communities and local business at international, national and state levels. Thirdly, diversification of farmer incomes. Fourthly, policy reform to address huge inefficiencies in the sector. Investment is required in people and systems, as well as hardware. Speakers highlighted the importance of knowledge as a building block for driving change. This includes teaching farmers about the impacts of climate change and training them in climate smart agricultural practices, as well as providing them with technologies. Knowledge platforms play an important role in supporting decision-making and sharing learning, for policy-makers, business people, civil society leaders and farmer organisations. Policy planning benefited from applying new tools and metrics. The Agrobiodiversity Index, for example, enables governments and businesses to make better informed investments to improve agricultural outputs, support healthy and economically prospering populations and conserve biodiversity. The importance of legal rights was acknowledged, empowering farmers and vulnerable groups improve their lives. Partnerships and collective action across sectors is key to scale and sustain projects. 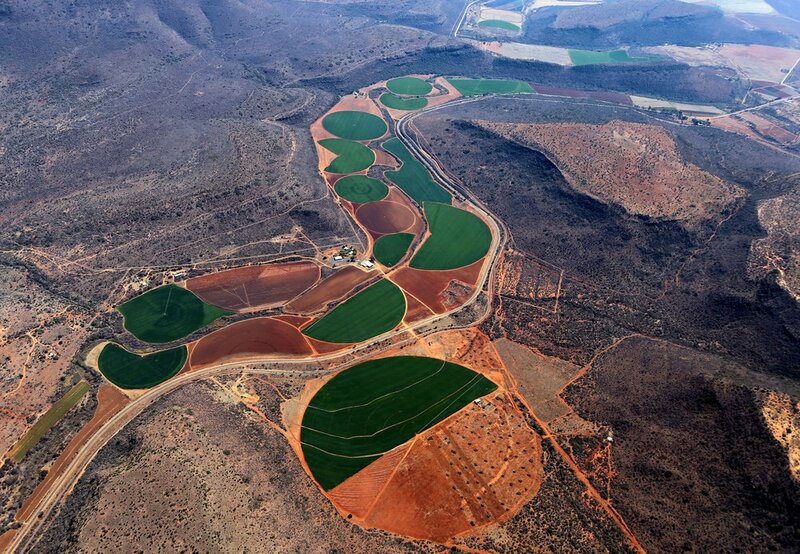 No organisation can single-handedly transform food and land use systems at a significant scale. Multiple companies need to come together with governments and NGOs to deliver change beyond each participant’s individual footprint. Speakers highlighted the role of collaboration in the soy and beef moratoriums in the Brazilian Amazon, one of the greatest global success stories of avoided deforestation. Cross-sectoral collaboration is essential to create the enabling conditions for investment in sustainable landscapes, but each sector brings different strengths and capabilities to the transformation. The private sector is an essential driver of innovation and can build the business case for other stakeholders to act. Collaboration with cooperatives and communities builds confidence and trust with and between farmers, and ensures vulnerable groups are given the voice and support that they need to participate. Unusual partnerships strengthen the connections between productivity, land conservation, farmer income, health and more. Programs to transform food and land use must recognise and strengthen the deep connections between these systems’ building blocks. Conserving and restoring biodiversity does not mean compromising on productivity. Instead, biodiversity can improve agricultural quality and yield, as well as providing farmers and consumers with a range of underutilised, nutritious crops to grow and consume. In Burkina Faso, agroecology is being used to improve farmer incomes while conserving the natural environment. In Vietnam, the Sustainable Trade Initiative is working with actors across the supply chain to innovate and create more sustainable products. There is innovation everywhere: now we need to scale it. Innovation in technology, policy and finance is enabling Ethiopia to regenerate degraded land and improve smallholder incomes. Equipping farmers with the appropriate technology and tools is resulting in Kenyan maize farmers seeing productivity increase by 5 – and precious ecosystems being restored. In Bangladesh, IFAD is working with farmers to use biogas to generate the energy levels they need for post-harvest facilities. Actors in food and land use systems need to identify and bring to scale the programs that will deliver the greatest impact. This will require committed investment, strong business cases, collaboration and an integrated approach. The GEF Food Systems, Land Use and Restoration Impact Program offers a huge opportunity for ambitious countries to transform their food and land use systems for the benefit of all. FOLU stands ready to work to support countries in applying for funding, drawing on its expertise in science, business, policy, economic and its experience in developing integrated programs in Ethiopia, Indonesia and Colombia. On Wednesday 30th May, over 80 Indonesian experts from government, the private sector and civil society provided input into a first draft template of the Food and Land Use Coalition’s ‘Action Agenda for a New Food and Land Use Economy in Indonesia’. The action agenda of policy and investment recommendations has been developed in close collaboration with the Indonesian government and addresses a number of Indonesia’s most pressing food and land use challenges and opportunities, including: food security, nutrition, agricultural productivity, food loss and waste, conservation and restoration. Participants in the workshop will continue to feed into the action agenda over the coming months. A first detailed draft will be prepared in time for the International Monetary Fund (IMF) and World Bank meetings in Bali in October 2018. An inaugural meeting of the national FOLU ambassadors in September will provide additional perspectives on the action agenda and its key findings, in advance of the Bali meetings. The action agenda will also draw on a political economy study analysing some of the constraints facing the establishment of a new food and land use economy in Indonesia, and how these might best be addressed. The study is led by the distinguished academic, Professor Hariadi Kartodihardjo, of Bogor Agriculture Institute (IPB). To translate recommendations into action, the Coalition works closely with the Indonesian Government and partners to integrate its suggested actions into existing programs and coalitions. In Indonesia, FOLU and FABLE country teams are contributing to the ‘Low Carbon Development of Indonesia Initiative’, an initiative led by the Government’s National Planning Agency, BAPPENAS, to set out a low carbon 5-year national development plan. FABLE’s work on long-term pathways for sustainable food and land use systems in Indonesia was discussed by Minister Bambang (BAPPENAS) at the 6th GEF Assembly in Da Nang in June, as part of a panel on ‘Partnerships for Implementing the 2030 Agenda’. To further accelerate action on the ground and secure local buy-in, FOLU is collaborating across sectors to identify and scale best practice. For example, the country action agenda team is documenting examples of successful business models in agroforestry, peatland restoration and apiculture, drawing on work from SYSTEMIQ, the Sustainable Trade Initiative, Rabobank and other partners. These examples will feature in the action agenda as opportunities to replicate and scale. In addition, the Coalition is supporting action-oriented coalitions at national and local level, including a public-private partnership on Food Loss and Waste. Finally, the Coalition is working with subnational governorates and partners in South Sumatra, East Kalimantan, Papua and West Papua to deliver regionally tailored subnational action agendas and investment plans to support these regions to implement their ambitious new food and land use economy commitments. The Food and Land Use Coalition is delighted to announce that Dr David Nabarro and Dr Lawrence Haddad have been jointly awarded the prestigious 2018 World Food Prize. Awarded by the World Food Prize Foundation, this global award honours breakthrough achievements to alleviate hunger and promote global food security. Founded in 1986 by Nobel Peace Prize winner Dr Norman E. Borlaug, the World Food Prize recognises individuals who have advanced human development by improving the quality, quantity or availability of food in the world. This year, the Prize honours Dr Nabarro and Dr Haddad for their leadership in maternal and child undernutrition and contributions to reducing the number of stunted children by 10 million between 2012 and 2017. The World Food Prize recognises Dr Nabarro’s work as head of the UN High-Level Task Force on Global Food Security in 2008 to 2014 and Coordinator of the United Nation’s Scaling Up Nutrition (SUN) Movement. During this time, Dr Nabarro united 54 countries and one Indian state under the SUN Movement to implement evidence-based policies and fight child malnutrition in South Asia and Africa. Many participating countries reported a significant decline in the number of stunted children after adopting SUN guidelines. Dr Nabarro continues to oversee SUN through his service on its advisory Lead Group. The Prize recognises Dr Haddad’s work in persuading policymakers to place a high priority on global nutrition, emphasising the fact that improving nutrition will almost halve child mortality before the age of 5. He established initiatives for accountability and guidance in global nutrition through the creation of the Global Nutrition Report, which analysed government advancements in reducing malnutrition. Through Dr Haddad’s leadership, governments can see their progress and allocate resources where they are needed most to combat malnutrition across the globe. Dr Nabarro is Strategic Director of Skills, Systems & Synergies for Sustainable Development (4SD), a Switzerland-based social enterprise to mentor professionals working for sustainable development. He is a Senior Advisor at SYSTEMIQ, serving as a member of the senior management team for the Food and Land use Coalition (FOLU). He advises the World Business Council for Sustainable Development (WBCSD) on food systems issues and curates the Food Systems Dialogues initiated by EAT, the World Economic Forum and WBCSD. He also holds a position as Professor of Global Health at Imperial College London. Dr Haddad is the Executive Director of the Global Alliance for Improved Nutrition. He is also Chair of the Global Panel Foresight Lead Expert Group. He is an economist and his research interests are the intersection of poverty, food insecurity and malnutrition. Dr Haddad is an Ambassador for the FOLU Coalition. Dr Nabarro and Dr Haddad will receive the World Food Prize at a ceremony in the Iowa State Capitol building in Des Moines, Iowa, on 18 October 2018. For more information about the World Food Prize, visit www.worldfoodprize.org/FoodPrize18.